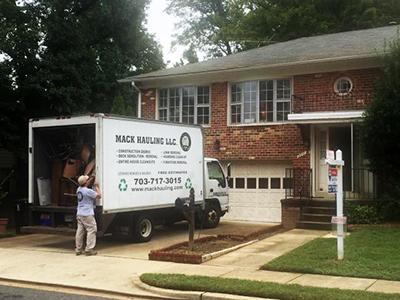 Mack Hauling Junk Removal Service provides an array of services key to the proper clear out and clean-up of homes and businesses as well as property management tenant clean out service. Hoarder clean-up is a specialty service requiring experience and skill as well as sensitivity. We offer a wide range of residential and commercial junk removal and recycling services to Herndon VA residents and businesses. We are a full-service company that deploys responsible, considerate, professional and courteous personnel to your home or business. Our reasonable and competitive rates are affordable. 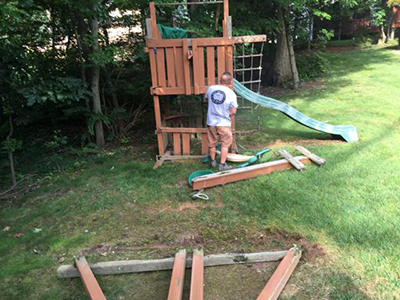 We often can support same or next day service for both inside and outside clean up needs. 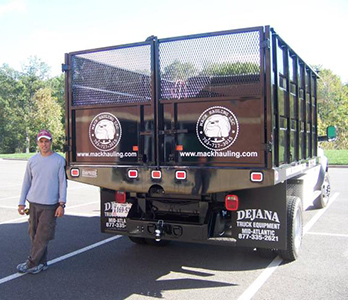 Mack Hauling is your locally owned and operated junk removal expert serving Herndon VA. If you have furniture, appliances, or just plain junk cramping your home or office, we can help! Get ready to eliminate clutter from your life! We’ll help you get rid of anything that’s in your way in your home or office and we work all over Northern Virginia, Southern MD, and Washington DC including Herndon, Drainesville, Floris, Dulles Greene, Oak Grove, Sugarland Run, Reston, Leesburg, and all surrounding areas. More than anything, our goal is to make your life easier by arriving when we say we will and removing your items quickly and safely. 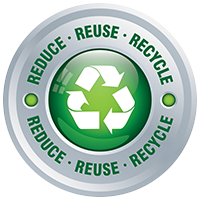 We are also proud of our commitment to the environment, donating and recycling as much of what we lug away as possible. We will provide tenant cleanout services to apartment complexes in or near the Herndon VA area including apartment complexes such as Raven Towers, Lincoln at Discovery Square, Westerly at Worldgate, The Townes at Herndon Center, Dulles Greene, Trevors Run at Dulles Station, Icon at Dulles, Stuart Woods, Elms at Arcola, The Courts at Dulles, Monroe Place, The Ashton at Dulles Corner, Camden Dulles Station, The point at McNair Farms, and any others. Want a cleaner home or office and to help those in need right in the local Herndon VA community? Get rid of your junk now! Call us today or complete our FREE ESTIMATE request form to schedule an appointment.